Previewed at: Event Cinemas, George Street, Sydney, on 1 June 2017. In the 1952 adaptation of My Cousin Rachel Olivia de Havilland provided the yardstick by which all other performances of Rachel would be judged, even though Daphne du Maurier thought the film unfaithful to her book. 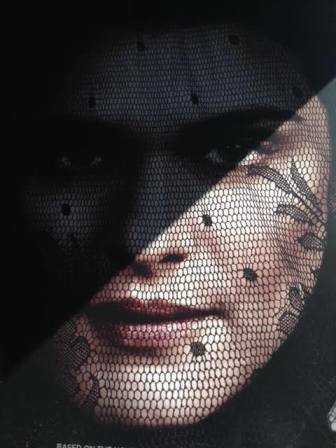 Rachel Weisz, however, has come up trumps in Roger Michell’s rendition of the novel, playing a woman who epitomises the traditional male view of womankind as either virtuous or villainous; a sinner or a saint. She joins a stable of actresses appearing in the current spate of films examining the role of women in the 19th century - think Lady Macbeth and A Quiet Passion - and thus forcing us to look at what’s changed since then. Anything? Set mainly on the beautiful Cornish coast, with a quick side trip to Italy, the plot revolves around the fortunes of a young man, Philip (Sam Claflin), who was adopted by his cousin Ambrose at an early age after the death of his parents. Philip’s a country boy at heart and he returns to his cousin’s estate after his education is completed. When Ambrose’s respiration starts to suffer from the damp Cornish climate, he travels to Italy to seek warmer climes to benefit his failing health. There he meets and ends up marrying a cousin, Rachel (Weisz), who’s of mixed Italian and British heritage. As the months pass, his letters home to England become increasingly disturbing and paranoid and a concerned Philip dashes to Florence but arrives to find Ambrose deceased and Rachel gone. So some time later, when Rachel turns up at Ambrose’s Cornish estate, Philip initially views her with hostility and suspicion but soon his feelings begin to change. The subsequent turn of events leaves not only Philip, but also we viewers, grappling with the mystery of Ambrose’s death and wondering ‘did she or didn’t she’ have a hand in it and is it happening all over again? My Cousin Rachel is a ripping yarn in the best gothic tradition and this is a visually stunning interpretation. The locations are breathtaking and Mike Eley’s sharp cinematography makes them shine. His interiors are stunning too, and his lighting brings warmth to the shabby-chic Victorian settings. However, as good as it looks and as suspenseful as the narrative is, hunk du jour Claflin’s performance is lamentably ligneous. Although dressed for the period, he somehow doesn’t look the part, unlike Weisz, who’s perfectly cast. She rides well, too; there’s lots of horsemanship on display. The two other main actors in the film are the ever reliable Iain Glen, as Philip’s guardian and godfather Nick Kendall, and the appealing Holliday Grainger as Nick’s lovelorn daughter, Louise. They’re ably supported by a large cast of rough-hewn extras portraying Ambrose’s servants and farmhands. The sexually liberated, proto-feminist My Cousin Rachel will keep you guessing but, in the end, I reckon one’s existing prejudices will decide whether she’s innocent or guilty.